For Kaleb Dahlgren, the A on his Humboldt Broncos jersey meant he was a team leader. That responsibility didn’t end when with the fatal bus crash last April 6 — in many ways, it only got more important. “I think leadership isn’t just something that you do for the season. I think it’s the way you carry yourself the rest of your life,” 21-year-old Dahlgren says, sitting in the living room of his York University student residence on the eve of the first anniversary of the collision that killed 16 players, coaches, a trainer and bus driver, and injured 13 others. The crash hit close to home for the hockey community and any parents who have put their children on buses for sports or school trips, believing they would be safe. Dahlgren, who has no recollection of what actually happened that day, quickly saw he had a role to play in shielding his teammates from that collective grief. He was called on to take one for the team. “Following that accident, there was a lot of players that didn’t want to speak and didn’t want the attention.… They wanted to heal on their own. But I thought that the nation needed somebody to talk about it, so if that had to be me, that had to be me — and I wanted to step up for them,” Dahlgren says. As a result, his calendar has been busy. There has been very little down time for him to process or focus on his own recovery, but he doesn’t see it as a burden. In fact, he says it’s a privilege— and he gets strength and inspiration from a former coach in whose footsteps he’s following now, whose life he wants to honor. “Mark Cross has had a tremendous influence on my life ..… He’s with us all the time, so I go on the ice and I just have a kind of warm feeling inside that I’m following his footsteps. I know he’d be so proud because when I told him about it he was so happy, he was pumped for me,” Dahlgren recalls. Cross played for the York University men’s hockey team, the Lions, from 2011-2016. Shortly after graduating, he joined the Humboldt Broncos as an assistant coach. Dahlgren had already been on the radar as a recruit for the York team, but when Cross started coaching there, he recommended Dahlgren and several other team mates. That endorsement carried a lot of weight, says York head coach Russ Herrington. “When Mark Cross, who’s the epitome of being a lion, says someone else is a lion, it made it very easy to make a decision on Kaleb,” he says. “Our culture has completely changed over the last few years because of Mark. He set standards very high for himself, for his teammates, held everyone accountable to that. We all try and live our lives the way Mark did and that’s with character, respect, optimism, sacrifice and selflessness,” Herrington says with tears in his eyes and a tremor in his voice. That acronym for Cross — “Cross = Character, Respect, Optimism, Sacrifice, Selflessness” — is displayed prominently in the team’s dressing room and a banner with Cross’s retired jersey No. 18 hangs in the York University’s main arena. An MC 18 patch is also stitched on the players’ game jerseys and team clothes. That’s because Cross didn’t survive the bus crash. Neither did Humboldt Broncos team captain Logan Schatz or Conner Lukan, two other players Herrington was trying to recruit. Another prospect, Mathieu Gomercic, survived, but ultimately chose to play for another school. Dahlgren suffered a brain injury, skull fracture and broken vertebrae, with no guarantee he would ever be able to play hockey again. But Herrington didn’t waver in his commitment to him. “I told them right then, as long as I’m still in the position here at York, the offer stands. So whether it was September 2018, September 2020, 25, whenever you’re ready to come to school. We want you here,” he says. Some of Dahlgren’s doctors were worried about how the stress of moving away to university would affect him, and how he would be able to recover so far away from home, but Dahlgren packed up and started his Commerce degree last fall. His recovery has been remarkable — it’s hard to see the physical scars. He practises and works out with the team, but wears a no-contact jersey and isn’t cleared to play in a game. Still, Herrington says he brings so much to the locker room and is a valued member of the team. “He lives his life very much the same way Mark did. I think the big thing for us is that Kaleb brings an energy and a positivity.… He’s an inspiration with what he’s overcome in the past 12 months,” Herrington says, adding he hopes Dahlgren will be able to wear the Lions jersey for a real game soon, not just a ceremonial puck-drop. Dahlgren has the same hopes, and he doesn’t have any survivor guilt over that. “It’s my life I’m living. But I’m always having those 16 lives in the back of my mind for sure.… Honestly, my mission is to live my life to the fullest for them,” he says, referring to the 16 players, coaches, trainer, announcer, statistician and bus driver killed in the crash. Even though Dahlgren is focused on the future, he followed the court case of Jaskirat Singh Sidhu, the semi-trailer driver responsible for the crash. After hearing Sidhu’s guilty plea and apology to the families, Dahlgren says he forgave him. 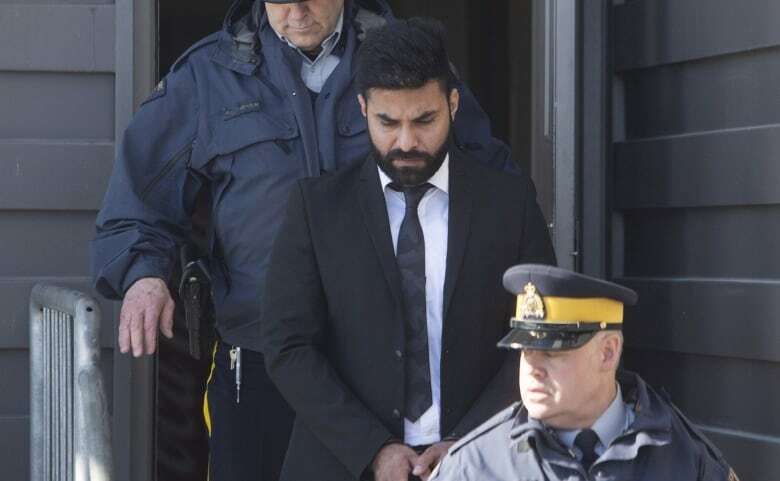 In March, Sidhu was given an eight-year sentence for 29 counts of dangerous driving. As a permanent resident, he also faces deportation once his sentence has been served. “He has to carry this with himself forever, and I think that’s really the life sentence,” Dahlgren says. The owner of the trucking company, Sukhmander Singh, also pleaded guilty to five charges, admitting he failed to comply with federal and provincial safety regulations. He received a $5,000 fine. Dahlgren says he welcomes changes already announced for commercial driver training and safety regulations, hoping they’ll prevent tragedies in the future. Dahlgren and several of the surviving players won’t be at the memorial service in Humboldt on Apr. 6. Instead, they’ll gather privately to watch a video of their last game together and go through photos on social media. After a year, Dahlgren says they’re finally ready to relive those moments. “It will be an emotional time for sure, but it’s a celebration for me. I want to celebrate the lives of everybody on that bus and especially the 16 who aren’t here anymore. I want to remember them for who they were and for the good moments,” Dahlgren says. 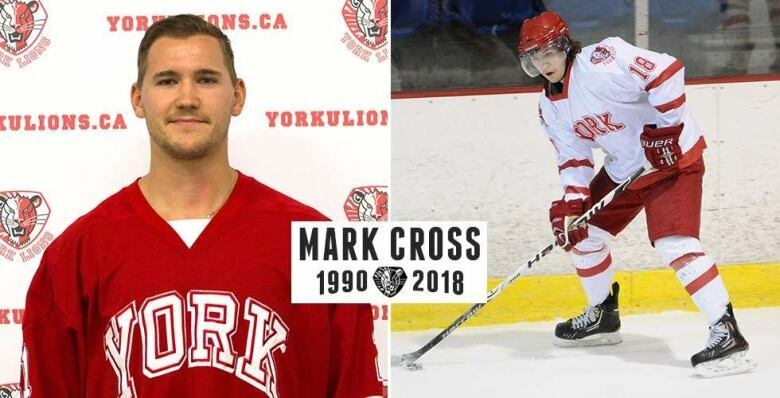 The York Lions have established a new distinction called the Mark Cross “Heart of a Lion” Award. It will be presented every year to the player who best embodies Mark’s spirit with elite levels of character, respect, optimism, sacrifice and selflessness. The team also travelled to Saskatchewan for the Mark Cross HumboldtStrong Remembrance Tour last fall, something Herrington hopes will continue every four or five years. “We can’t tell 16 stories, but we can tell one, and if we keep telling Mark’s story then 15 other people will be able to keep telling 15 other stories and then we keep the memory of all 16 people alive that way,” he says.